The 2017 Land Rover Discovery Sport is a compact crossover SUV with plenty of versatility and capability! 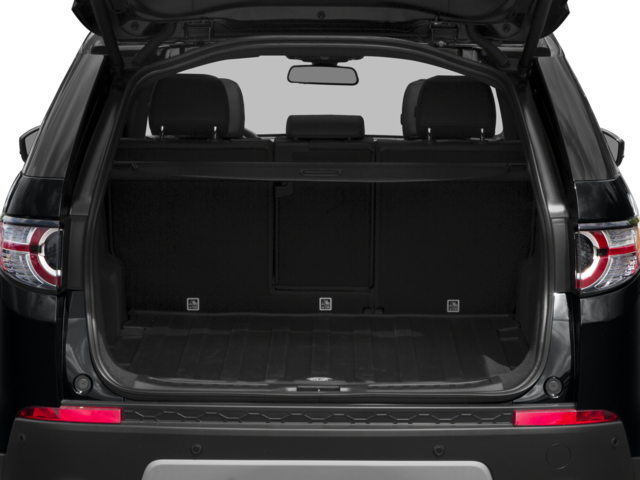 The Discovery Sport has seating for five with optional capability of seating for seven. There are a variety of seating configurations to allow for passenger space and needed cargo space. Fold down the back row or rows of seating to create up to 60 cu. ft. of cargo space! Loading cargo is a breeze with the optional hands-free power liftgate. Just wave a foot under the rear bumper to open the liftgate — so convenient when your hands are full! The Discovery Sport has the capability to get you where you need to go with ease. The available Terrain Response® system allows you to select the mode for your driving conditions. Modes include General Driving, Grass/Gravel/Snow, Mud & Ruts, and Sand. Hill Descent Control is standard on the Land Rover Discovery Sport. This system controls descent by applying brakes separately to each wheel as needed to maintain consistent speed. Available Torque Vectoring perfectly balances torque to the wheels to create improved grip in any condition. Visit Land Rover Colorado Springs and let us show you this sporty SUV. We know you will be impressed by the capability and versatility so stop by for a test drive today. Choose from our great selection of the 2017 Land Rover Discovery Sport!